History Is Now Being Written in Asia! The EU Summit Must Follow the Example of Singapore! by Helga Zepp-LaRouche http://newparadigm.schillerinstitute.com/blog/2018/06/18/history-is-now-being-written-in-asia-the-eu-summit-must-follow-the-example-of-singapore There is an ongoing transformational shift underway in the world, as the era of geopolitics, with its destruction of nations through financial manipulations and wars, is being challenged by the emergence of a new era of "win-win" policies of mutual benefit, spearheaded by China's Belt and Road Initiative. Developments in Asia, with the Trump-Kim summit in Singapore and the Shanghai Cooperation Organization summit in Qingdao, China, provide examples which show that peaceful economic cooperation is not only possible, but is already underway. The benefits of this new era can be seen in new infrastructure projects throughout Eurasia, Africa, and in South and Central America, and the clamor to be included is also heard now in a number of nations in Europe. The growing likelihood of a Trump-Putin summit is part of this new geometry, an indication that the U.S. President is breaking out of the containment intended by the fraudulent, so-called Russiagate allegations. For this moment of great opportunity to be realized, there must be an elevation in both the capabilities of creative thinking, and passionate activation, of citizens of all nations. 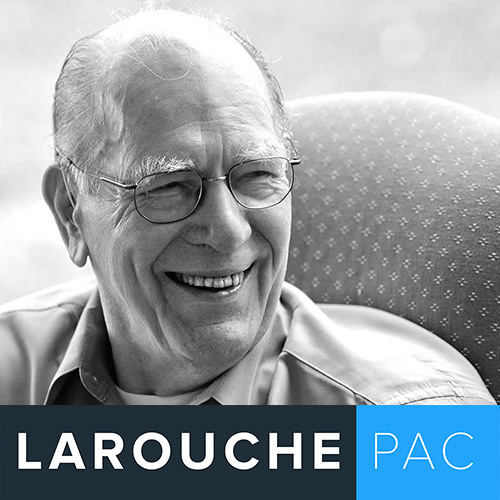 Schiller Institute founder and President Helga Zepp LaRouche's weekly webcasts are a critical part of elevating populations to the level required by this promising moment of history. Help us organize to make these webcasts available to growing numbers of people, to bring new activists into the fight for the New Paradigm each week.